On Columbus Day, 2015 we purchased 5 1/2 alpacas (5 females of varying ages and one still in utero). So on the anniversary of Christopher Columbus discovering the new world we created our own new world in southern Delaware and named our farm Nuevo Mundo Alpaca, the Spanish translation of new world. And what a new world it was for us. 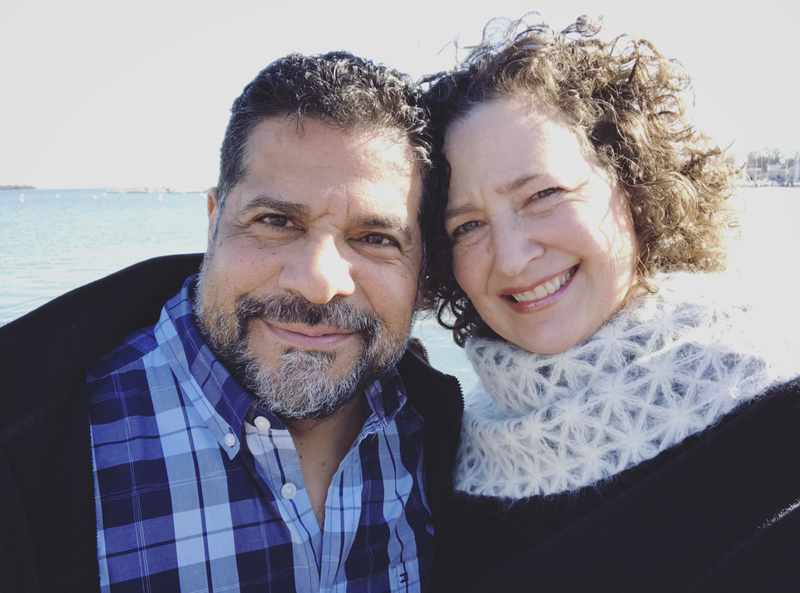 Both of us grew up in cities amid traffic, tall buildings and plenty of retail close at hand—Liz in Indianapolis and Jose in Caracas, Venezuela. But here in southern Delaware (which neither of us could have found on a map prior to moving to this easy-going patchwork of agriculture and beach tourism) we’ve discovered a new world of caring for animals and learning the innerworkings of their personalities, habits and contributions. We’ve truly learned from the ground up how to care for these animals that provide some of the most luxurious fiber produced from animals. We’ve become versed in every step that that fiber travels—from freshly sheared to freshly knitted. Because life should never be too simple, we’re complementing our farm efforts with a few other residents. We’ve cared for day-old chicks left on our doorstep on a cold February night and helped them become thriving hens providing us with a daily Easter egg hunt around the property. Before this lifestyle transition we hadn’t owned a dog larger than 11 pounds but now we’re the happy owners of two Great Pyrenees livestock guardian dogs (one rescue and one obtained from a breeder). These animals have layers of complexity that centuries of focused breeding created. They are intensely loyal to their owners and doggedly (pun intended) protective of the other animals and property. No vacations or weekends off for these two and they sleep with one eye open. We continue to learn about this new lifestyle we've chosen and enjoy every minute (well, maybe not those minutes on rainy mornings cleaning the pasture). We also continue to fall deeper in love with the denizens we've populated our thumbprint of land with and are always amazed at their individuality and enjoyability. There's nothing more quietly peaceful than taking a moment to enjoy their company outside in their own space.